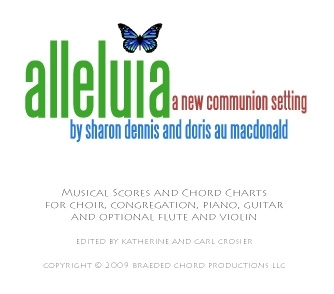 “Alleluia” — a setting for the communion liturgy using text from the Evangelical Lutheran Book of Worship, was written in 2008 by Sharon Dennis and Doris Au MacDonald. All the music is on a factory manufactured CD in PDF format and includes full scores, instrumental parts for piano, guitar, flute and violin, and congregational parts sized for worship booklet. You also receive recordings of the main pieces on separate CD. 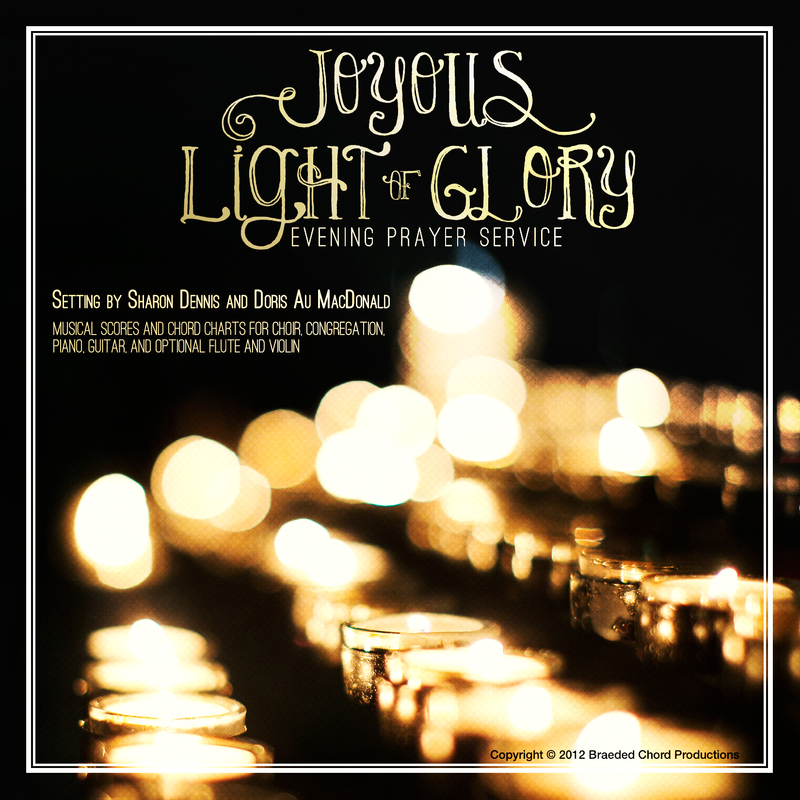 “Joyous Light of Glory,” a new setting for Evening Prayers, was written in 2012 for the ALCM (Association of Lutheran Church Musicians) Region IV Gathering in at Cal Lutheran University, Thousand Oaks CA. Includes: Jesus Christ is the Light of the World, Joyous Light of Glory, Blessed Are You, Let My Prayer Rise Before You as Incense, Magnificat, Kyrie, Lord’s Prayer, The God of Peace Be With You. Also, General, Lent and Advent Dialogues Written for Leader, Choir and Congregation with accompaniment by piano, guitar, flute and violin. Includes full musical scores including booklet size for congregation, and comes as a PDF download, or a CD of PDFs with permission to copy and an optional bound manuscript. Service Singles – Need just a part of the service?